Includes 17" x 7.5" (43.2 cm x 19.1 cm) steel spare wheel. 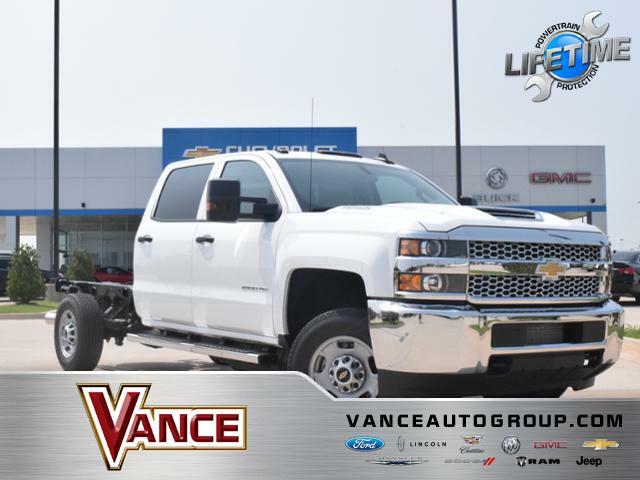 Only 1 4WD Crew Cab 167.7 Work Truck model left in stock! New vehicle pricing includes all offers and incentives. Tax, Title and Tags not included in vehicle prices shown and must be paid by the purchaser. While great effort is made to ensure the accuracy of the information on this site, errors do occur so please verify information with a customer service rep. This is easily done by calling us at 405-288-1689 or by visiting us at the dealership. Work Truck trim, Summit White exterior and Dark Ash with Jet Black Interior Accents interior. 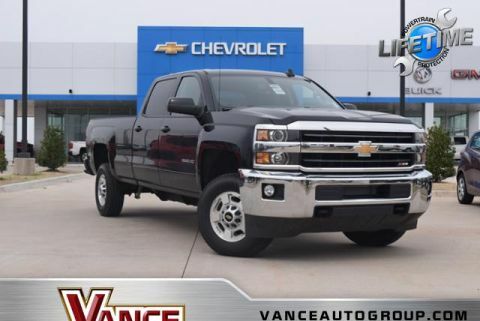 REAR VIEW CAMERA, SAT RADIO, WiFi Hotspot, 4WD, ENGINE, DURAMAX 6.6L TURBO-DIESEL V8... MIRRORS, OUTSIDE HEATED POWER-ADJUSTA... CLICK NOW! 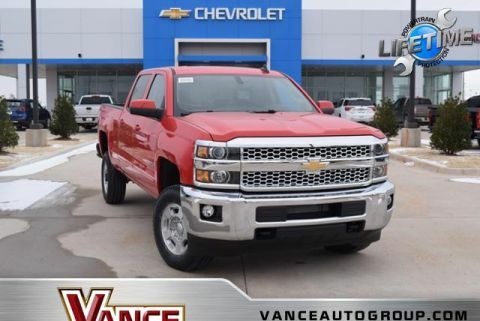 4WD, REAR VIEW CAMERA, SAT RADIO, WiFi Hotspot Electronic Stability Control, 4-Wheel ABS, Vinyl Seats, 4-Wheel Disc Brakes, Tire Pressure Monitoring System. All prices include all applicable rebates and incentives. Pricing analysis performed on 3/1/2019. Horsepower calculations based on trim engine configuration. Please confirm the accuracy of the included equipment by calling us prior to purchase. You may have a lot of different car dealerships in your area, but finding the one that puts your needs first with no hassles can be difficult. 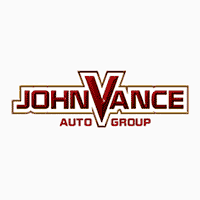 John Vance Auto Group is also a trusted name in the Guthrie, Miami, Perry, OK and surrounding communities. We have been making our customers happy for over 30 years. 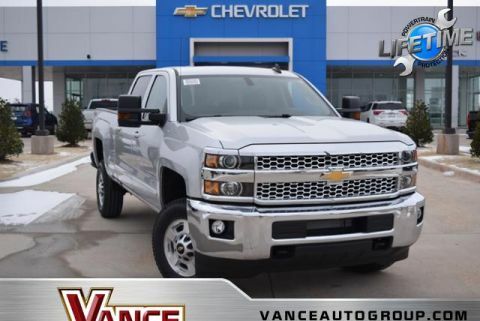 We have one of the largest new models of Ford, Lincoln, Chevrolet, Cadillac, Buick, GMC, Chrysler, Dodge, Jeep and Ram in stock and look forward to seeing you today!